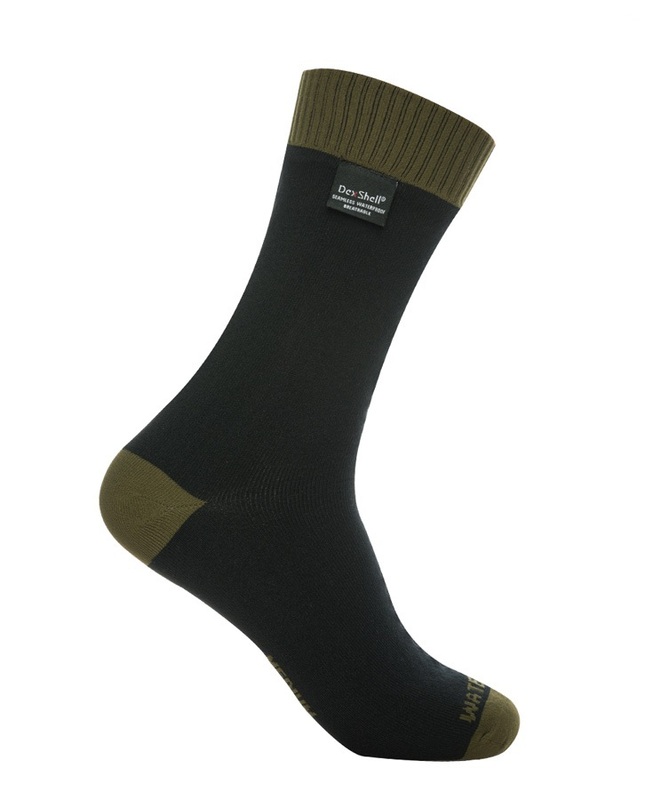 The DexShell Thermlite is a 100% waterproof sock that is highly breathable and retains a nice level of warmth thanks to its Merino Wool lining making it ideal for cold wet environments. 1 The inner sock is made of 38% Merino Wool, 38% anti-pilling acrylic and 24% Nylon; the combination of these materials in contact with your feet makes for a super comfortable and insulated sock. 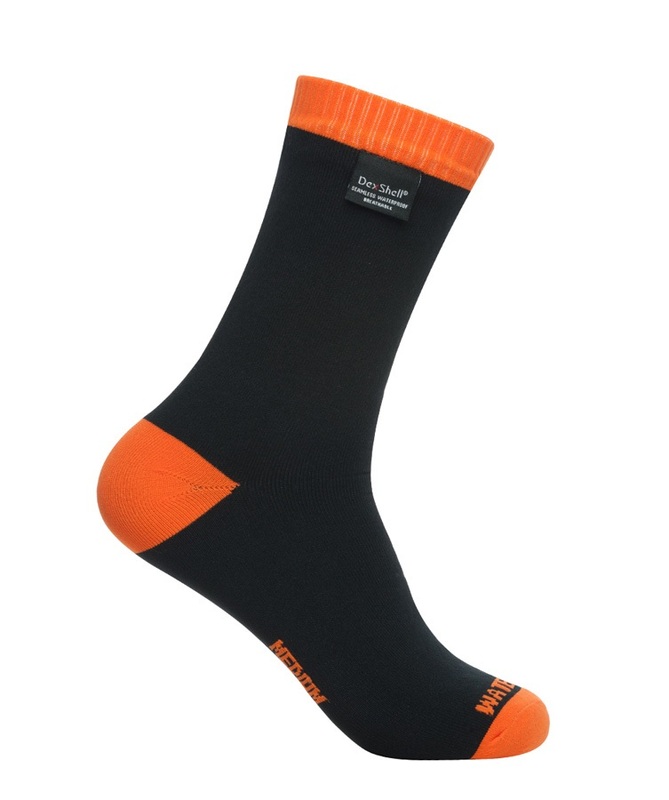 Merino Wool will keep your feet warm and thanks to its anti-microbial properties will keep the sock clean. 2 The interlining is made of a waterproof and breathable Porelle Membrane which is a functional high performance microporous membrane that is light, flexible and durable. 3 The outer sock is made of 96% Nylon, 3% Elastane and 1% Cuff elastics - the combination of these makes for an abrasion resistant sock protecting it from tearing and damage due to heavy use. All in all, DexShell are clearly ahead of the curb with this innovative technology. If you are the adventurous type and enjoy hiking/trekking you cannot really go wrong with a pair of these. As an over the ankle sock these will fit nicely under any approach shoe or hiking boot. Just like you would carry a rain jacket in case it rains, why not wear waterproof socks on your next adventure to keep your feet comfortably dry at all times?